The National Collegiate Athletic Association (NCAA) is the governing body that controls your path to a college degree and to the NFL for a select few. The NCAA membership numbers more than 460,000 student-athletes in 27 college sports. To clarify, due to the fact that we have chosen to minimize the time it takes for college coaches to register with THE PROCESS, log in each time and search a database for prospective student athletes who fit their academic and athletic profile we are not NCAA certified. However, in no ways does this prevent college coaches from seeing your film or actively recruiting you. We are simply making the process easier for coaches and streamlining THE PROCESS for all prospective student-athletes. College-bound student-athletes who want to compete in NCAA sports at a Division I or II school need to meet certain division-wide academic and amateurism requirements. Students who plan to attend a Division III school need to meet the eligibility requirements of the school they plan to attend. A first-class education, with a personal touch is the hallmark of small-college campus life. 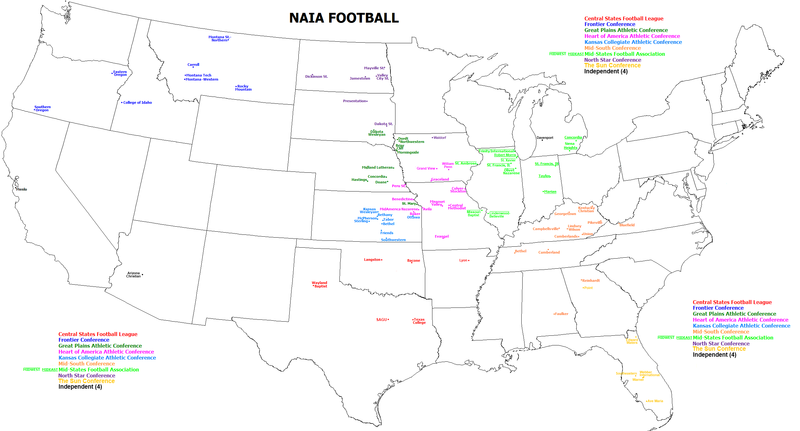 The National Association of Intercollegiate Athletics (NAIA) is the governing body for athletics programs at colleges and universities throughout the United States and Canada. The long-held mission of the NAIA is to promote the education and development of well-rounded students and productive citizens through intercollegiate athletics. The association offers equitable access and opportunities for participation in its 23 national championship events held annually throughout the country. Every student who plays in the NAIA for the first time must have their eligibility determined through the NAIA Eligibility Center. The National Junior College Athletic Association (NJCAA) serves as the national governing body for two-year college athletics in the United States and is the nation's second-largest national intercollegiate sports organization (second to the NCAA). Each year nearly 60,000 student-athletes from 525 member colleges compete in 28 different sports. The 2015-2016 Eligibility Rules Pamphlet includes the bylaw proposals passed at the 2015 NJCAA Annual Meeting, as well as the restructured bylaws that were also approved at the annual meeting. Beginning with the 2015-2016 academic year every student-athlete who is a transfer must complete the NJCAA Transfer Tracking Form on file to be eligible for participation. The NJCAA defines a transfer as anyone who has previously attended a college or university as a full time student beyond the 15th calendar day of the academic term or anyone who has participated in intercollegiate athletics prior to their enrollment at the current institution.